With mothers who were later diagnosed with feline immunodeficiency virus, these guys were neutered as young cubs to ensure they don’t pass the condition along to offspring. Because they were so young when it happened, these males didn’t develop the thick, gorgeous manes that usually separate the males from females. 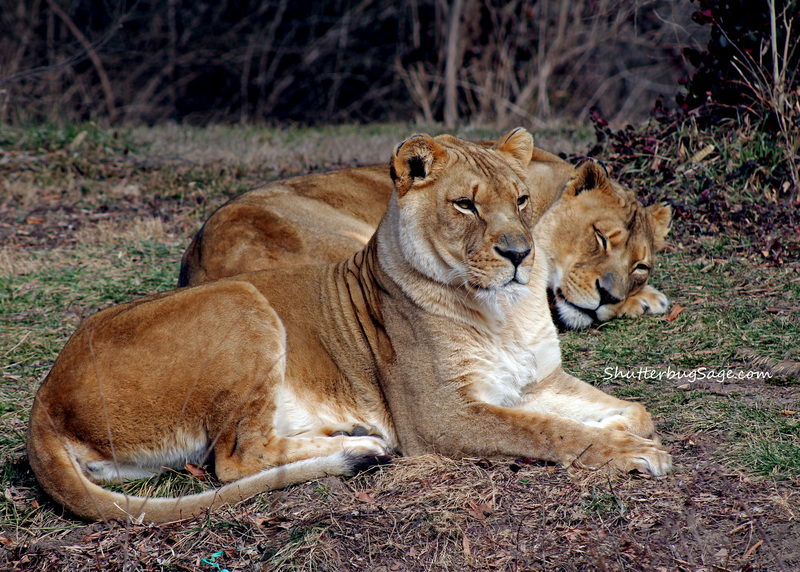 Here are three photos of the pride at the Kansas City Zoo. What do you think? Do you have a favorite below? Lion Photo #1. 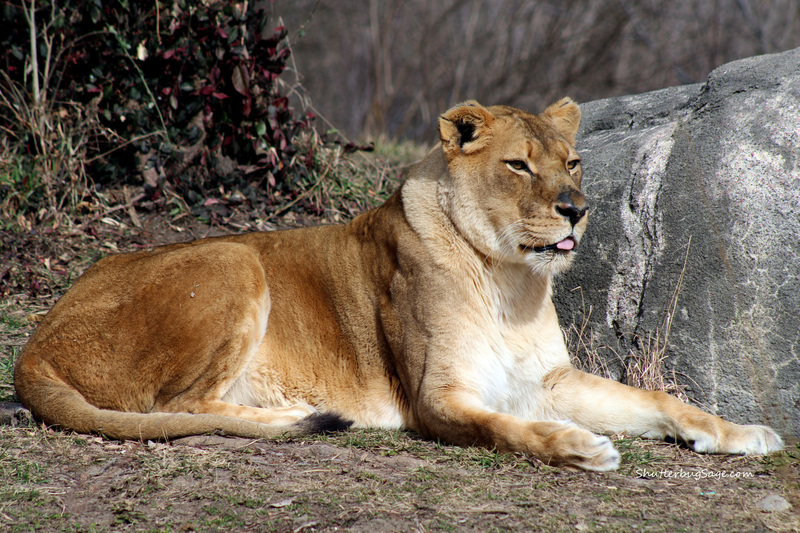 One of the lions looks at me lazily through sleep eyes. Lion Photo #2. Just like our house cats, this guy’s tongue was sticking out a little bit. 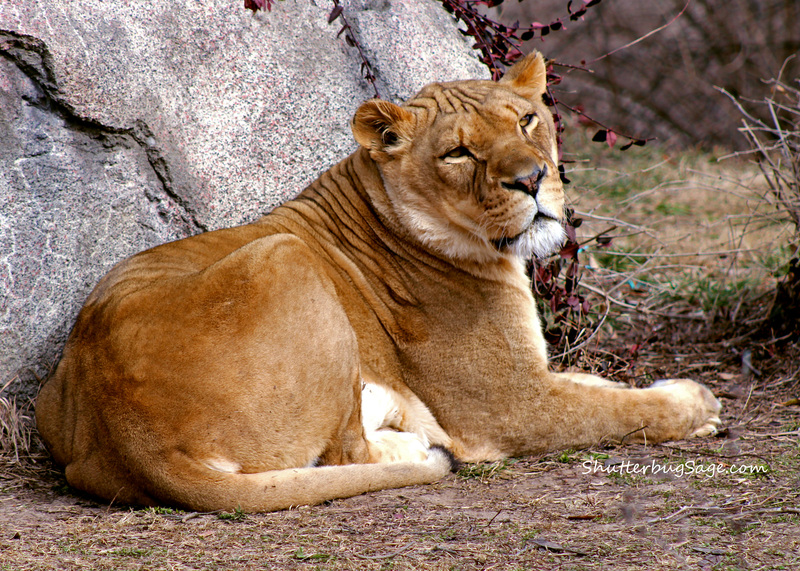 Lion Photo #3. The guy in front is letting his fellow sleeping lion lie.